Skylar and Brian were absolutely wonderful to work with. There is nothing we love more than natural chemistry between two people and Brian and Skylar were complete naturals, at that. We laughed, we ran through tall grass with fear of snakes, we sweat our tails off but had the best time doing it. 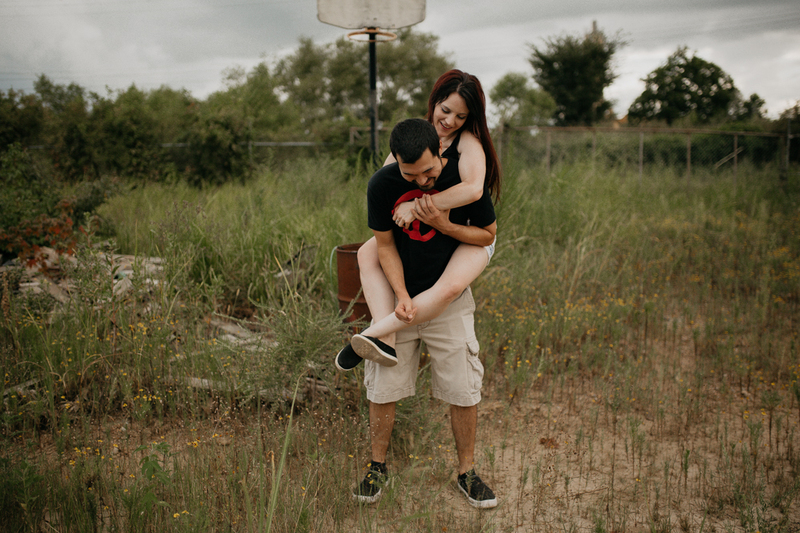 We love when couples will let loose and let us get them comfortable in their own skin during their session. We want to give youmore than "just taking pictures", we want to create an experience with you. We want to make memories with you. Of course, they rocked the hell out of their superhero shirts. The whole session, really. I can't get enough of these images. Thank you, Brian and Skylar for hanging out with us and making our job easy. We love you guys! !